Come see us at in Orlando, FL! IAAPA 2017 is around the corner and we have an exciting Living Arena feature for your laser tag arena. At EAS this year we unveiled our brand new living arena feature, our exciting Laserforce Portal! Stop by our booth #3672 to be the one of the first to view and demo the new arena Portal. We’ve taken our highly popular arena beacon targets and wrapped into a spectacular glowing sci-if frame, that will fit in any arena! With over 80 German locations opened in the last 4 years, Laserforce has become synonymous with laser tag in Germany. said Sven Esswein, head of Laserforce Europe. At the show, our European operators absolutely loved the product and are already ordering their first portal to be shipped to their arena! We’re looking forward to meeting with you at the show! 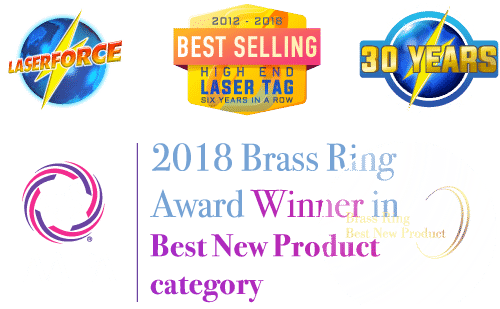 The best way to learn more about our system is to schedule an appointment with your rep at IAAPA and talk about all your Laserforce questions and options!